President Emmerson Mnangagwa yesterday joined other netizens when he opened his official Facebook account and invited followers to message their thoughts as a part of "a new national dialogue". Last month, the Government urged the public to be wary of criminals opening false media accounts in the name of the First Family for purposes of extortion. But yesterday President Mnangagwa introduced himself to the social networking site with a short video clip. "To all my Facebook friends, I opened this page to communicate better with all the people of Zimbabwe. Leadership is a two-way street; I am here to listen to you to be part of a new national dialogue. 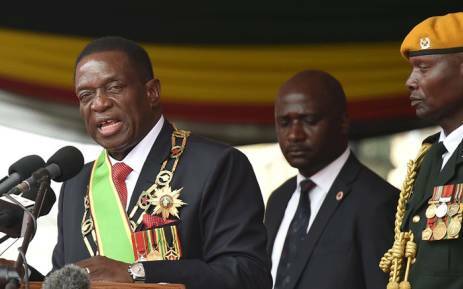 So as we enter this new exciting area in Zimbabwe, I encourage you all to message me your thoughts as we move forward as one nation, together," said President Mnangagwa in a terse message. He joins African peers such as Zambian President Edgar Lungu, Botswana's leader Seretse Ian Khama and Uganda's President Yoweri Museveni.